Something really fishy happened this summer regarding one of Europe’s biggest companies – Lafarge SA – yet the media has kept the story on the down low, with only a few major publications reporting on this. The French company was placed under formal investigation over allegations that it financed terrorist groups, including the Islamic State, as a way to continue operating in war-torn Syria. Eight former company executives, including two chief executives, have already been indicted in recent months on charges of financing terrorism. Why would this happen in the first place? 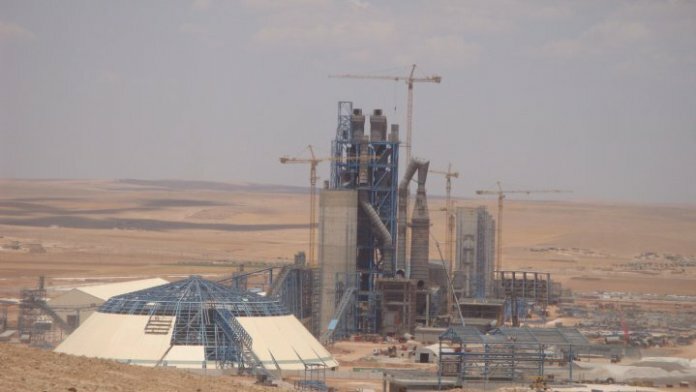 Well, Lafarge operated a cement plant in Jalabiya, northern Syria, located right next to the front line where ISIS and other terrorist affiliated groups were operating. In a move to keep the cement plant running while the war was ongoing, Lafarge allegedly paid these terrorist groups through intermediaries large sums of money (13 million euros) as a sort of a “protection tax” which allowed the company’s staff free movement and various goods inside the war zone. Moreover, it is claimed that some of the money was also used to buy petrol and other raw materials from suppliers close to ISIS and that Lafarge actively sold cement to the terrorist group. All of this information was pretty much known by 2016, when a former member of the Norwegian secret service, Jacob Waerness, revealed in a book that Lafarge was making payments to the Islamic State in Syria. This information came only one year after the French industrial group merged with Swiss Holcim to create LafargeHolcim, which in turn made the former CEO, Eric Olsen, resign in April 2017 because of the “strong tensions” incurred by the media. “We deeply regret what happened in our Syrian subsidiary and as soon as we were informed, we immediately took firm measures” said Beat Hess, board president of the now merged LafargeHolcim. Yet the excuse offered by the board president seems to be too little, too late, given that the people indicted in the charges were not low level employees, but former company executives, including two former chief executives. Their actions seem to point to the fact that the company actively sought to keep their operations in Syria up and running, with complete disregard to the fact that the money being given for “protection” to ISIS was later used as part of the group’s attempt at establishing its “Islamic caliphate” across large areas in Syria and Iraq. “The activities of Lafarge in Syria, in a context where extremely violent crimes had been committed – even right outside the factory – are a perfect illustration of how multinationals can feed conflicts” said the ECCHR (European Centre for Constitutional and Human Rights) director, Miriam Saage-Maass. Moreover, various emails have emerged dated from 2014 that show how France asked the United States not to bomb the Lafarge cement plant in northern Syria, in the area that was at the time controlled by the Islamic State. The emails – seen by other big publications such as Reuters – were sent by Franck Gellet – France’s Syria envoy – , Lafarge’s then security chief Jean-Claude Veillard and other French officials. “This French investment should be protected,” said Franck Gellet in a September 19, 2014 email to senior foreign ministry officials; “It seems legitimate that we ask Washington not to do anything about this site without checking with us first”. And while the cement factory was never bombed by any air-strikes, the security details of the site were provided by the Islamic State, which was employed to provide free passage for employees to and from the cement plant and to resolve sporadic kidnappings by other militant factions. This “lucrative” deal was in place for quite some time, with the cement plan operating in the area even when the Islamic State completely controlled the region. While it is rare indeed for international companies the size of Lafarge to face charges for crimes against humanity, this case brings up a very important moral issue that has been swept under the proverbial rug in the past – multinationals that operate in war-torn areas, who have invested large sums of money to operate various sites even in a state of full conflict, have rarely been brought in the face of justice for their actions in supporting terrorist groups, all in the name of profit. Most of the cases that were brought up in the past were abandoned in the end – same thing happened with a 2008 lawsuit against the French oil giant Total, which was accused by Burmese refugees of providing logistical support to the Burmese junta that allegedly engaged in forced labour, executions and torture; or the Anglo-Dutch energy giant Shell, who was brought to court in the US by twelve Nigerians over allegations of torture and other human rights abuses in the Niger delta back in the 1990s. “This case must create a precedent for all the corporations that fuel armed conflicts” Sherpa, a French anticorruption organisation, has said in a statement. Yet, Lafarge denies having anything to do with the allegations, citing that the criminal charges “do not fairly reflect Lafarge’s responsibilities for what happened” and that the people that were charged acted by their own means, essentially moving past the decisions of the board of directors. Moreover, the company has acknowledged in a statement that its “supervision of its Syrian subsidiary did not allow it to identify failures arising from an unprecedented breach of internal rules and regulations by people who have left the group”. Nevertheless, this whole situation pretty much shows that business will always go as usual, even in war-torn areas across the globe. And even if the company itself had no knowledge of this situation and everything was conducted by individuals within the company, the fact still remains that there are people out there who see no issue whatsoever in providing money to terrorist groups, all in the name of business and profit. What remains to be seen now is the conclusion of this dubious situation – and given the past few examples when this has happened before, it wouldn’t be a surprise if the charges against the company will be eventually dropped. But this time, the whole world is watching.